PAUMME, Processor Audio Unit - MME, is an application dedicated to processing audio. It turns your computer into a true stereo audio processor with a user interface easy to use. PAUMME provides Delay, Low filter, High filter, 6 EQs, Low and High Shelves on each channel. Presets can be saved and loaded. 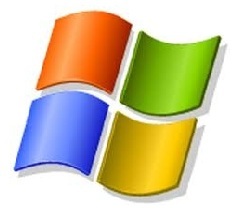 This application works on Windows and use MME to read and write stereo audio signal on the computer input and the output. PAUMME needs a stereo audio signal in input. This signal is processed by the application and it is finally sent to the stereo output. Display inputs and outputs signal level in Volume Units between -18dB and +18dB. VuMeters are always shown. The rise and fall times of the meter are both 40 milliseconds. Allows to know what are the inpout and the output converters used by PAUMME and what is the sample rate. Preset is an important part of PAUMME. It gives the possibility to load and to save each parameter into specific files. These files are saved in XML format in order to stay editable without using PAUMME. 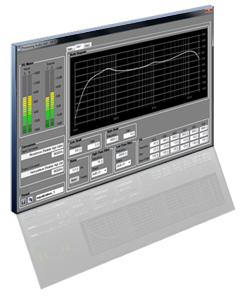 Allows to control the level on each input and output from 0dB to -infini dB. Mute button activates or not the Left and Right audio signals. These signals can be selected on by one too. Mapp input and output as you want with the Links part. Out1 and Out2 can be connected with InA, InB or A+B. Stereo button allows to choose if a change on Out1 parameters should be duplicated on the Out2 parameters. PAUMME uses the standard Windows MME (Multi Media Extensions). MME is a library developped in order to manage all media resources into Windows (MIDI, sound card, joystick, video...). It's integrated into Windows 3.1, 95, 98, ME, XP, 2000, Vista, 7. In audio domain, MME needs buffers to extract signal from input and to provide the 'processed' signal to the output. Improvement: An installer allows to deploy PAUMME more easily on your computer. Improvement: Help files have been added. There are available via the information box (logo button).